Mercenary bands operate throughout the Attican Traverse and the Terminus Systems. They are usually hired by criminal organisations that require "heavy muscle", or by individuals who want protection or assassination services. Sometimes euphemistically referring to themselves as 'private security organisations', mercenaries will commonly raid remote outposts or unprotected starships when unemployed. Mercenaries hail from all races and backgrounds, though are most commonly turians, humans, batarians or krogan. Given that their occupation requires them to be efficient and capable, mercenaries tend to use superior weapons and armor, meaning their equipment is usually produced by a variety of manufacturers (unlike military forces, which prefer to select equipment from a single company). Mercenaries are usually found at their bases on remote worlds, or protecting their employer's investments or operations. Originally a small Terminus Systems vorcha gang, the Blood Pack was transformed into a mercenary legion by visionary krogan battlemaster Ganar Wrang. Exiled for striking a female in anger, Wrang obsessed over reclaiming his lost status. Leading the vorcha pack as a pirate crew, Wrang cultivated recruits and infamy for a decade before incorporating his fighters as a security company across the Skyllian Verge. 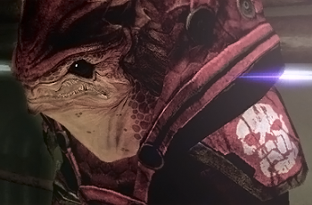 His notoriety ensured his initial public offering for investors made him rich beyond most krogan's dreams. Wrang returned triumphantly to his clan, rallying elders, krogan hordes, and their firepower and biotic support toward professional violence in the Terminus Systems. Banned from Citadel Space, the Blood Pack bribes its way through spaceports into armed conflicts across the galaxy. Priding themselves for accepting otherwise untouchable contracts, the Blood Pack rejects bodyguarding and security in favor of cases requiring minimal oversight and maximal violence. Blood Pack appears to be, for the most part, made entirely of vorcha and krogan members, though they also use varren as war beasts. Seeing the potential of the vorcha's individual adaptability, krogan Blood Pack mercenaries often sweep pockets of vorcha, gathering them up and literally beating them into soldiers. Vorcha “trained” by this ordeal are stronger, faster, smarter, and more resilient than other members of the race. Gaining even a few vorcha gives a mercenary band a formidable advantage; each additional vorcha magnifies the gang’s combat ferocity exponentially. The Blue Suns are a "private security organization", in reality a mercenary outfit operating in the Skyllian Verge. The Blue Suns have a reputation for being both discreet and ruthlessly efficient, and as such charge a sizeable fee. They were founded by Zaeed Massani and Vido Santiago. After betraying Zaeed, Vido hired many batarians into his ranks, even naming Solem Del'Serah his head of operations, though this act was little more than a PR stunt calculated as a sign of cooperation to placate his batarian funders, and to draw away fire from potential assassination attempts. It worked on both counts and the partnership lasts to this day. Over the next decade the Suns grew into a fearsome combat force spanning dozens of places. Blue Suns mercenaries often have a tattoo of a blue sun somewhere on their body. During high-risk jobs, the tattoo would be removed with an acid wash to prevent them being identified, then reapplied once the job was finished. 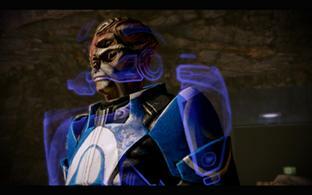 Blue Suns consist mostly of batarians, turians, and humans, and also employ YMIR, FENRIS, and LOKI Mechs. Eclipse is a mercenary corporation that was founded by asari commando Jona Sederis. They provide effective security and firepower for prospective employers. They have few scruples about the nature of those who hire them, so long as they can afford their services. Eclipse mercenaries work in teams of troopers and vanguards which may be led by more experienced commando units. They often utilise mech support in battle. Eclipse in general seems to favor stealth, discrimination, and "intelligent" ways of conducting battles. They are primarily made up of asari, salarians and humans. They have a large number of Vanguards in their employ, and have many tech and biotic-based resources. Eclipse also employs a large amount of YMIR, FENRIS, and LOKI Mechs. Eclipse also has many ventures that delve into smuggling; they control nearly 20% of all smuggling on Omega, and specialize in transporting illicit goods and criminals from place to place. Prospective Eclipse operatives, at least on Illium, are rumored to have to successfully commit a murder before they are given their uniform. This rumor turns out to be quite true in at least one case. 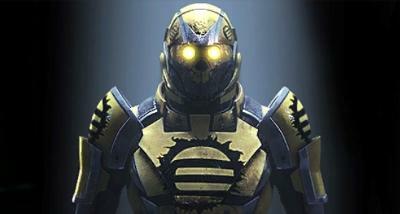 Eclipse mercenaries can be identified by yellow or black armor featuring the Eclipse logo, a solar eclipse crossed in the center by a capital letter E. Eclipse mercenaries are not as disciplined as their more established rivals in the Blue Suns, but make up for this with cutting edge equipment and weaponry, as well as their extensive use of biotics. The Talons are an obscure mercenary organization based on Omega. They are highly organized, setting them apart from other gangs like the Blood Pack, but just as dishonorable. Although far smaller than the other mercenary groups on Omega, they are strong enough to keep the peace in the more predominantly turian districts of Omega. Despite this, they do have operations all over the galaxy, generally performed with as little attention drawn as possible. This, combined with the high rates for rent and protection, makes them a potential up-and-comer in Omega.